Indeed, Samsung galaxy Note 5 is one of the most anticipated phones. The galaxy note 5 measures 153mm x 76mm x 7.6mm with 5.7-inch display. Besides, its specs include an Exynos 7420 SoC, 4GB of RAM, 32GB of storage, 16MP rear camera and a 5MP front-facing camera, up to 4K video resolution, runs android 5.1.1 and no micro SD card. You might get ready to switch a new Samsung galaxy phone, right? The note series is good option. Before doing this, take good care of your phone and backup old Samsung data. Well, let's get down to the main topic: How to recover deleted contacts from galaxy note 3/4/5 etc. Commonly, contacts automatically stored on the phone internal memory, it is not easy to restore Samsung contacts. If by any chance that you lost Samsung contacts, don’t worry either. The purpose of writing this post is going to tell you two simple solutions to do Samsung note contacts recovery. This is a way to recover your contacts only if you’ve previously backed them up. - From Google. If you have saved your contacts to your Google, then you can restore in this way: On your phone, go to “Apps”->scroll to and tap “Settings” -> Tap “Accounts” ->”Add account” -> “Google”-> click “Existing”-> enter your google account ad tap “Next” icon-> tap “OK”-> “Next”. Failed to restore contacts from Samsung ? Or you don't have backups available? Its OK, read the following solution, you can easily recover deleted/lost contacts from Samsung galaxy note 3/4/5 without needing of backup. 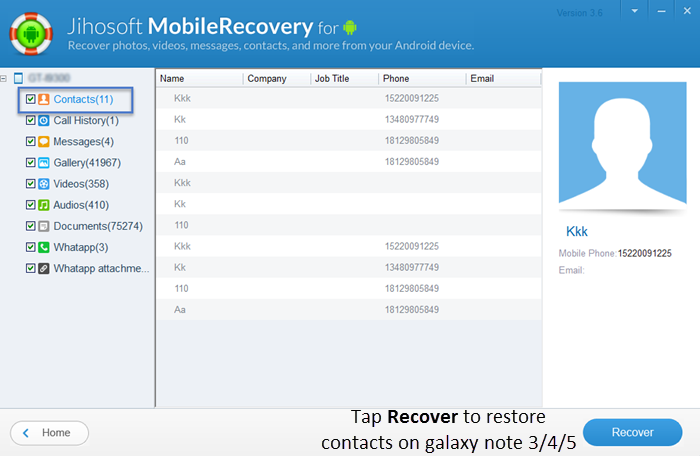 - Download and install a reliable Samsung galaxy note contacts recovery tool, like Jihosoft Android recovery is a option to do this. You can get it by clicking here. - Make your Samsung note and computer connected. - Start Jihosoft Android recovery, and select the “Database” option to continue. - Enable USB debugging to let this program access your phone. - After your device is identified, click “Start” to scan. It takes a few seconds for the scanning. Just wait patiently. 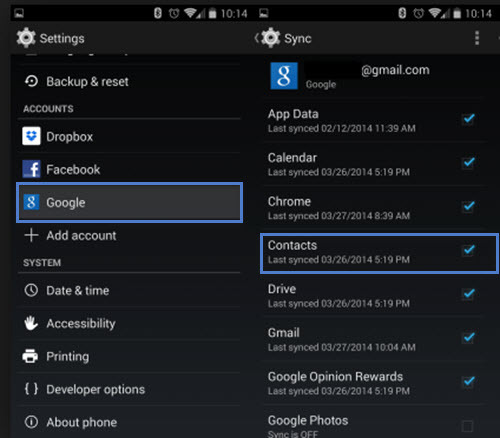 - Preview both deleted and existing contacts on your Samsung galaxy note. - Tap “Recover” button to save the found contacts to your PC/Mac. Jihosfot Android Recovery is dedicated to recover data from android. Files like contacts, as well as text messages, photos, call logs, videos, and more can be restored directly with ease. What’s more, this software can only work on recovering the contacts that haven’t been overwritten by new data. Any new content added later can make the lost contacts overwritten and unrecoverable. Thus, you are suggested to stop using your galaxy note once the contacts lost. we feel the information How to recover deleted Contacts from Samsung galaxy note 5/4/3/2 that's all. hopefully the information How to recover deleted Contacts from Samsung galaxy note 5/4/3/2 that we have conveyed can provide benefits for you and all visitors of this blog, if any criticism and suggestions please comment. 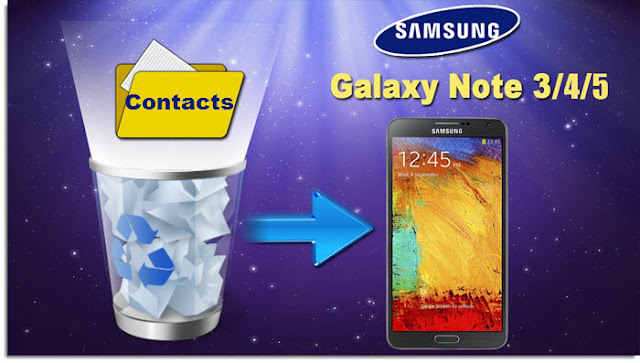 you just read How to recover deleted Contacts from Samsung galaxy note 5/4/3/2 if this article is considered useful and you want to bookmark and share it please use the link https://stephaniefulke.blogspot.com/2015/08/how-to-recover-deleted-contacts-from.html and what if you want other information look for another page in this blog.